New York, NY / Washington, D.C. – In a move aimed at significantly reducing the harm from tobacco use for generations to come, the federal Food and Drug Administration (FDA) announced a major policy shift today that embraces tobacco harm reduction. The National Center for Public Policy Research applauds this bold change. The National Center’s Risk Analysis Division has been at the forefront of advancing this harm-reduction approach as a more effective public health strategy than the heavy-handed regulatory scheme imposed by the Obama Administration, which would have effectively banned almost all e-cigarettes on the market today. Those rules have already inhibited innovation and put roadblocks in front of companies seeking to offer reduced-risk next generation products. Jeff Stier, the director of the Risk Analysis Division and a nationally-recognized authority on tobacco and e-cigarette policy, is available for comment on this breaking news. Stier has worked with a wide range of tobacco harm reduction supporters – including academics, consumers, user groups, free-market think tanks, and industry leaders – to advance a harm reduction agenda at the FDA. I applaud FDA Commissioner Scott Gottlieb and the FDA’s Center for Tobacco Products for making sweeping changes to the Obama-era approach to tobacco regulation that would have effectively banned almost all e-cigarettes on the market today. The most significant change is that the FDA’s regulatory approach will now seek to implement a “tobacco harm reduction” approach, recognizing that there’s a continuum of risk among different nicotine products. In other words, it will not impose onerous deadlines and ill-defined requirements for so-called pre-market tobacco applications. The FDA will first develop clear, science-based product standards before manufacturers would be required to submit applications. The FDA will now begin to develop new rules which will recognize that non-combustible lower-risk products such as e-cigarettes and next generation “heat not burn” products should no longer be treated solely as public health threats. The FDA will instead embark on a rule-making process whereby the products will be regulated based on their risk profile. This approach, if implemented properly, will foster a robust market offering a range of options to smokers who wish to reduce the risk from smoking. We are gratified this new approach takes into account our recommendations that the FDA develop an entirely new framework for a different regulatory approach to nicotine regulation. The FDA has more work ahead, and we will be fully engaged with regulators and thought-leaders to support the agency’s goals of implementing harm reduction strategies to advance public health. Although the FDA will explore lowering nicotine levels in cigarettes over time, we are pleased it will evaluate comments and studies considering the risks of unintended consequences of gradually lowering nicotine levels in combustible cigarettes. It is telling that any potential mandatory reduction in nicotine levels would only apply to combustible cigarettes. Lower risk products will continue to be regulated through a to-be-developed more transparent pre-market tobacco application process with an extended application deadline as the FDA develops a more transparent regulatory approach, built around harm reduction. We are also pleased that, according to Mitch Zeller, director of the FDA’s Center for Tobacco Products and an Obama Administration appointee, the agency’s new regulatory framework will implement his long-held views regarding a comprehensive, agency-wide nicotine regulatory approach to recognize the continuum of risk among different products. We look forward to continuing to assist the FDA as it begins to develop and implement new rules, educational programs and public statements to advance the goal of reducing the toll of tobacco-related disease by embracing the harm reduction model. 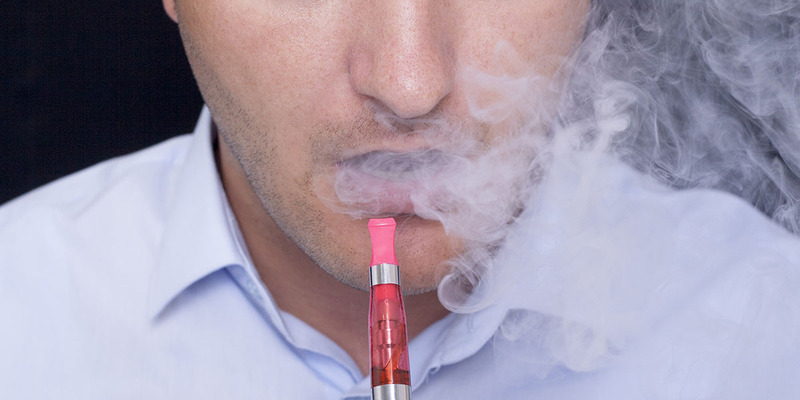 While the announcement about exploring whether to mandate lower levels of nicotine in cigarettes surprised many, FDA Commissioner Scott Gottlieb said the goal of the proposed regulatory action is to “render cigarettes minimally addictive.” The approach, if it survives scrutiny because of concerns about unintended consequences, would not apply to e-cigarettes.